Today marks the 15th anniversary of the short lived right-wing coup against Venezuelan president Hugo Chavez. A decade and a half on, the opposition continues its violent attempts at overthrowing the socialist government. Hugo Chavez was elected president of Venezuela in 1998. Throughout his presidency, he promoted extensive social reforms and sovereignty for Latin America. "At the center of those social reforms was the decision by Hugo Chavez to follow through on his December 1998 election promise to organize a new constitutional assembly so as to have the people discuss, provide their input and adopt a new constitution," Arnold August, Canadian journalist and lecturer, told Radio Sputnik's Brian Becker. "I think that was really the move that the United States and the wealthy in Venezuela didn't expect. They perhaps had a wait-and-see attitude for several months or a year, but when it was decided to have a new constitution, that was a thing that really bothered them, because in fact it meant that Hugo Chavez was taking steps to have political power in the hands of the people, something that never before happened in that country." According to August, the Washington-backed coup attempt in April 2002 was organized to secure economic and political power in the hands of the wealthy and to prevent the people of Venezuela from getting control over the country's massive oil resources. Today, the right wing is accusing the socialists of mounting their own judicial "coup," after the country's Supreme Court ruled that the opposition-controlled National Assembly was in contempt of the constitution, citing its failure to remove three lawmakers who were temporarily suspended over fraud charges. "Despite all the proof, the National Assembly, now controlled by the opposition, refused to remove those deputies from the National Assembly, therefore they are the ones who have provoked the need to dissolve that parliament. Because it contains three deputies who have been illegally elected," August explained during Becker's Loud & Clear broadcast. ​Venezuelan President Nicolas Maduro has been engaged in a tense political standoff with the opposition ever since he took office, and August believes what has kept him in power to the present day is the same force that helped Hugo Chavez survive the coup in 2002. "I think, unwillingly, the United States provided the Bolivarian Revolution with a new real feature in politics, that is going from ‘participatory democracy' to ‘protagonistic democracy'," August said. "Millions of Venezuelan people became the protagonists in their own revolution by uniting with important sections of the military to actually overthrow opposition that was fully backed by the United States and bring Chavez back to power. 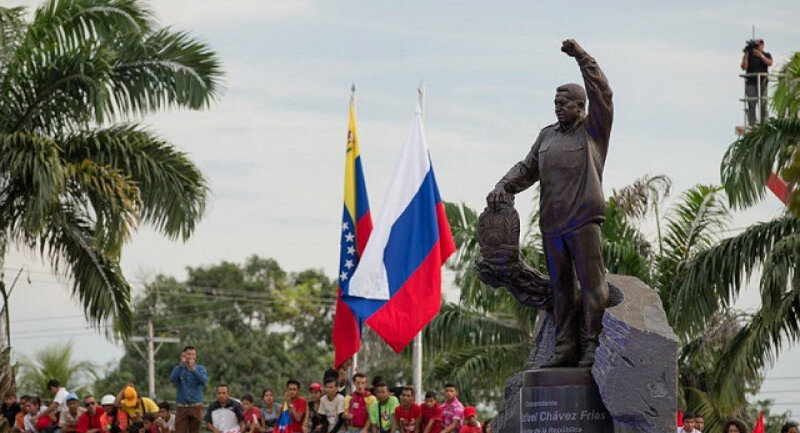 I think from that day on til today, when the people are fighting in the streets against the latest US provocations, the Chavistas on an individual and collective basis say to themselves ‘This is our revolution. The Bolivarian revolution is about our dignity'."